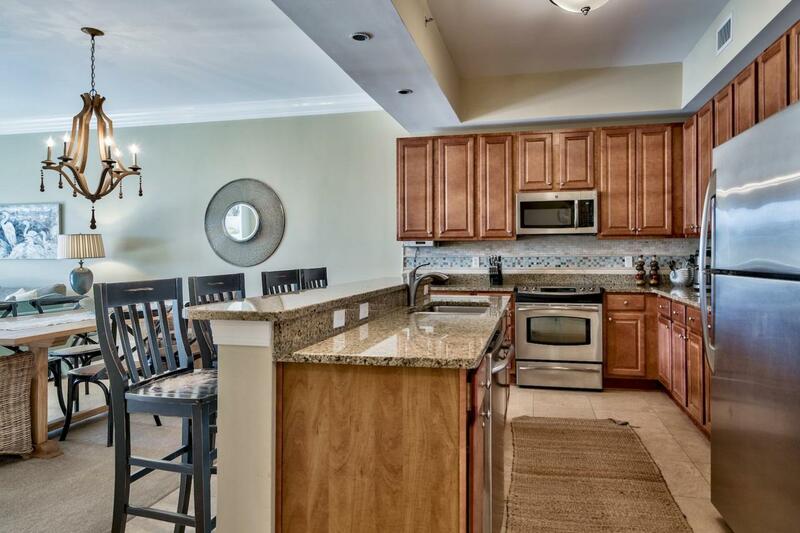 In a 3-story building adjacent to Big Redfish Lake, overlooking refreshingly stunning swimming pools just a mile from the dove white sandy beach sits a charming condo seeking new owners. 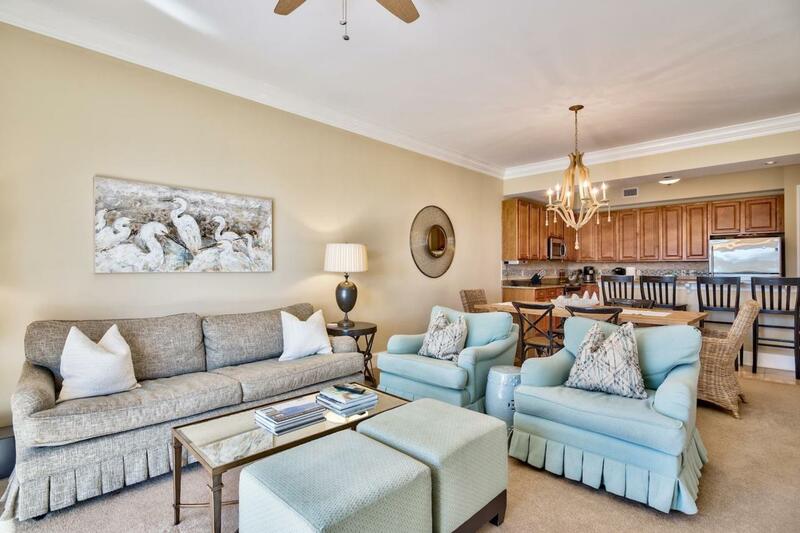 The low density setting and resort-style amenities make this one of the best choices along 30A. Crown molding, panel interior doors, granite kitchen counters, stainless steel appliances and a laundry space create a comfortable, functional home. The open concept assures that no one is left out of the conversation at the breakfast counter, dining table or living room with fireplace, white mantle and lovely bookcase with lower cabinets. 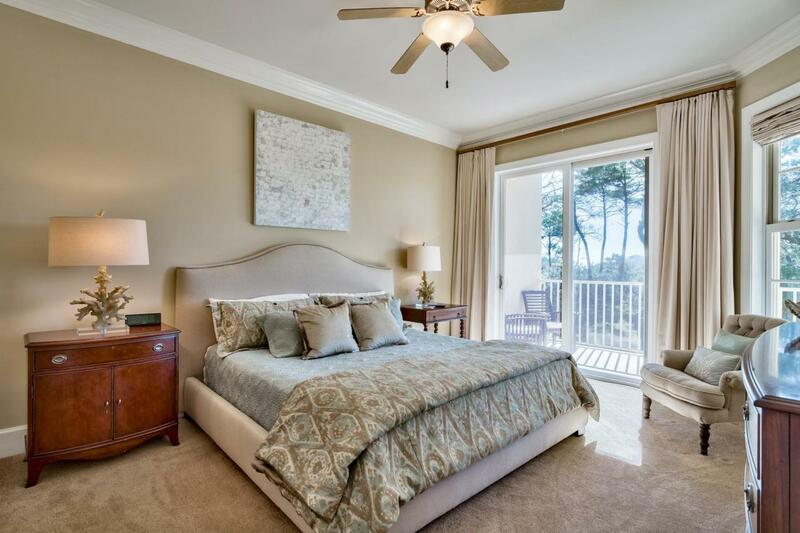 Three bedrooms along with three and one half baths add to the appeal, along with the spa retreat master bath. A spacious, covered, outdoor deck, accessible from the livingroom or master bedroom, overlooks a tranquil, nature preserved setting. 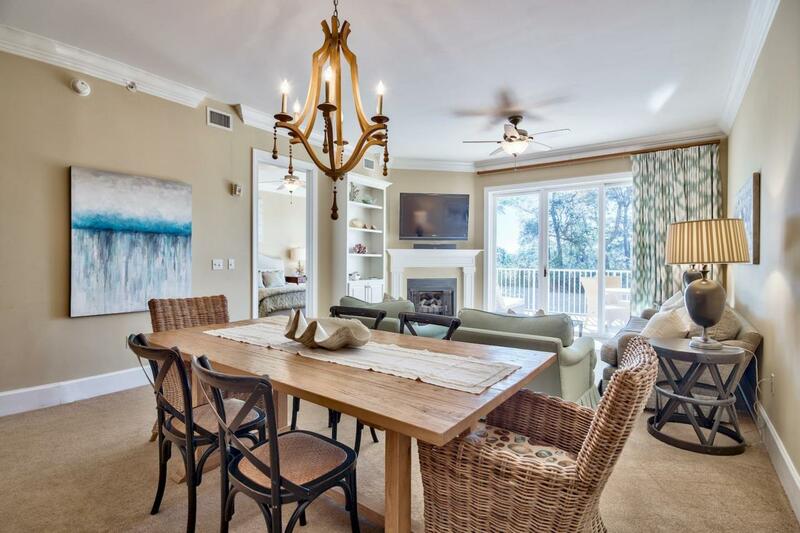 Move-in ready is superlative here, as it comes furnished with pleasant, attractive furniture, fine window treatments and fun decorative accessories. A fitness center, covered parking, fire pit, outdoor grills and private cabanas poolside are here for residents, but it could be the water taxi taking you to the beach (March-October) that tips the scales in favor of buying at the Sanctuary at Redfish.